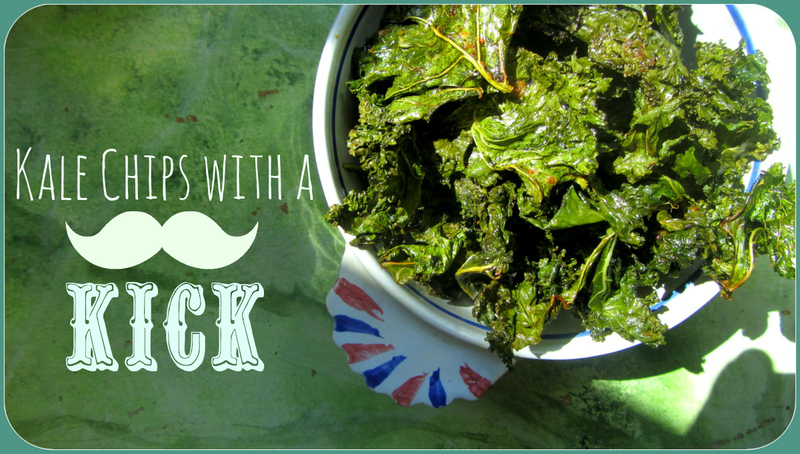 Kale chips are super easy to make and take just about 20 minutes to crisp up in the oven. But I like them the best because they are a perfect reflection of your personality! I guess I was feeling spicy when I made these because I was pretty liberal with my chili powder and nutritional yeast. Talk about an afternoon pick-me-up! So go ahead and put your own spin on these! Minced garlic? Sriracha? A pinch of paprika? It’s your food, and you do what you want. As I noted in the recipe card, it’s best to eat these as soon as you make them. Storing them is tricky and they tend to get a bit soggy in a container if you haven’t used a dehydrator (something I haven’t invested in). Also, be sure to flip them a couple times during the baking process to ensure an even texture. Kale is a powerhouse ingredient in my diet because it’s full of vitamins and minerals that my body needs to function. It’s a great source of that non-heme (non-animal source) iron, vitamin C (this helps the iron to be absorbed in your body), vitamin A, and calcium. Like most vegetables and fruits, kale will help keep you regular and acts as a natural detoxifying agent because it’s packed with fiber. A lot of people ask me what nutritional yeast is all about. This delicious product is a flaky add-on to anything that needs a boost of (vegan) cheesy goodness. 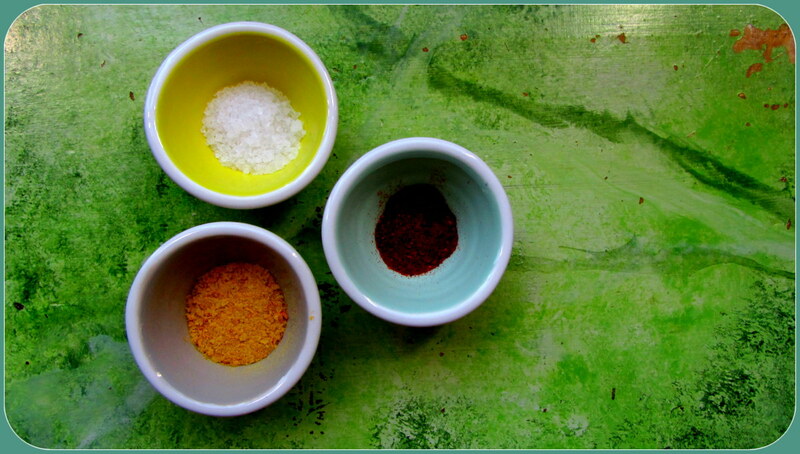 In fact, it’s used often in vegan cheeses and sauces to mimic that cheese flavor. If you’re vegan, make sure you pick up a nutritional yeast that is fortified with B12! This can be a difficult nutrient for us to obtain since it comes almost exclusively from animal sources (exception: algae, yeast). I like Bragg’s. At just about $6 a bottle, it’s a real bargain. 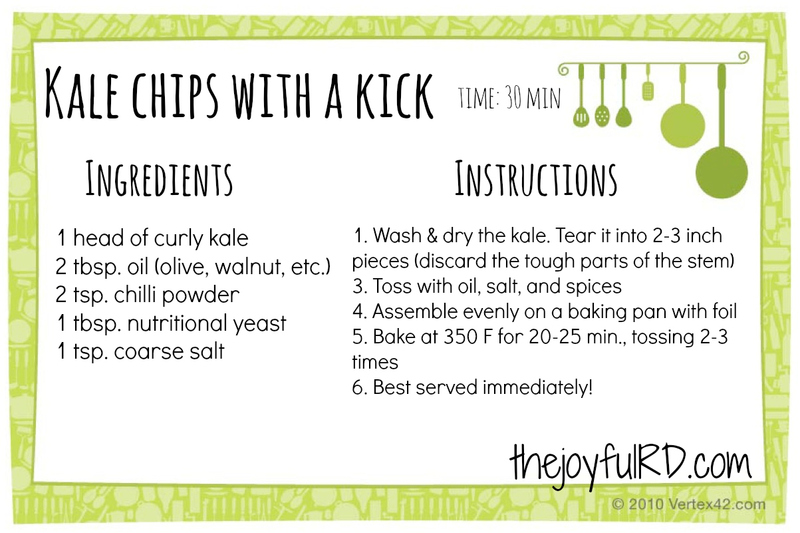 So if you’ve got half an hour to spare and a head of kale waiting to be munched on, go ahead and try these chips! You won’t be disappointed. ← Weekend BBQ: Charred Chickpea Burgers with Chipotle Mayo Aioli! Love the new look! Excited to try these kale chips, great post! I’m going to invest in some nutritional yeast and make these!